As the lead voice of the Coasters in the late 1950s, Carl Gardner delivered some of early rock 'n' roll's most indelible lines. It takes a microsecond for any fan to recognize "Yakety Yak," where the first sound out of the grooves is Gardner's voice barking, "Take out the papers and the trash / Or you don't get no spending cash." The root of teenage exasperation was never nailed more succinctly. 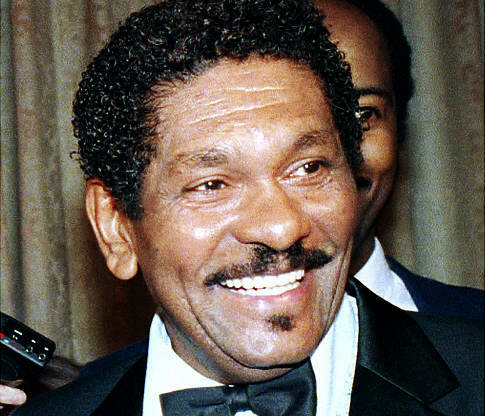 Gardner, who started as a traditional rhythm-and-blues harmony singer and in later years became an advocate for artists' rights and fair financial compensation, died 12 June 2011 in Port St. Lucie, Florida. He was 83 and had been suffering from congestive heart failure and vascular dementia. He retired from singing with his last Coasters group in 2005. The Coasters were formed in 1956 around Gardner and bass Bobby Nunn, who had previously sung in the respected Los Angeles group the Robins. The Coasters became the musical vehicle for the songs of Jerry Lieber and Mike Stoller, who used rock 'n' roll to create a hilarious chronicle of American life, particularly American teenage life. "Along Came Jones" satirized TV Westerns and "Charlie Brown" honored the original slacker. "Poison Ivy" may be the only pop hit ever to mention Calamine lotion, and "Searchin'" turned a routine love song into a pop culture drama by having the elusive girl pursued by contemporary TV stars like Sugarfoot and Paladin from "Have Gun Will Travel." Gardner took pride in the group's ability to deliver tongue-in-cheek humor while still creating songs that sounded compelling on a car radio. At the 1987 Rock and Roll Hall of Fame ceremonies, where the Coasters became the first vocal group inducted, he said he considered the group professional entertainers rather than the street-corner singers who were popular in the late 1950s. "People may have called it doo-wop or novelty music," he said. "But we sang songs that lasted." Recently I had discussion about the tune that used as the theme for the Benny Hill Show. This was inspired by the sax solo by King Curtis in The Coaster's 1957 No.1 hit "Yakety Yak" and became a hit for Boots Randolph, which he called Yakety Sax. A US#35 from February 1963. What song immediately puts you back in school with a car full of friends singing at the top of your lungs? come on , we all did it? CC whiskey in the jaro! remind me who sang it! Ray Mankelow I remember the Seekers doing Whiskey In The Jar, probably best known by The Dubliners. What ho the daddy oh. LH Sticking my beak in - Thin Lizzy did a great version with Phyll Lynott singing. "Whiskey in the Jar" is a famous Irish traditional song, set in the southern mountains of Ireland, with specific mention of Cork and Kerry counties, as well as Fenit, a village in Kerry county. It is about a highwayman, or perhaps a footpad, who is betrayed by his wife or lover, and is one of the most widely performed traditional Irish songs. It has been recorded by numerous professional artists since the 1950s. The song first gained wide exposure when the Irish folk band The Dubliners performed it internationally as a signature song, and recorded it on three albums in the 1960s. Building on their success, the Irish rock band Thin Lizzy hit the Irish and British pop charts with the song in the early 1970s. The American metal band Metallica brought it to a wider rock audience in 1998 by playing a version very similar to that of Thin Lizzy's with a heavier sound, and won a Grammy for the song in 2000 for Best Hard Rock Performance. 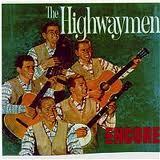 Music Maestro Mark said, The Highwaymen had a popular version in 1962. So perhaps that is the one in my subconcious. Then Mark followed up with 'By the way The Dubliners version was only available here on an album.' So that probably precludes them reaching my ears over the radio. I'm familiar with the Thin Lizzy version. Can imagine the Dubliner's doing it, remember them doing Seven Drunken Nights ? Great Irish humour. Song that takes me back like that is Goodybe Yellow Brick Road. Just two notes of the intro and it's like being sent back in a time machine to summer late 1973 / early summer 1974. My song of strong memories is the Loving Spoonful - Daydream. That puts me around the swimming pool in the sunshine at Ohakea Air Base during my first year in the RNZAF. MB We are all gonna on a summer holiday we sang that every boxing day as we all headed off camping and yes stop laughing please I have camped in the PAST !!! !